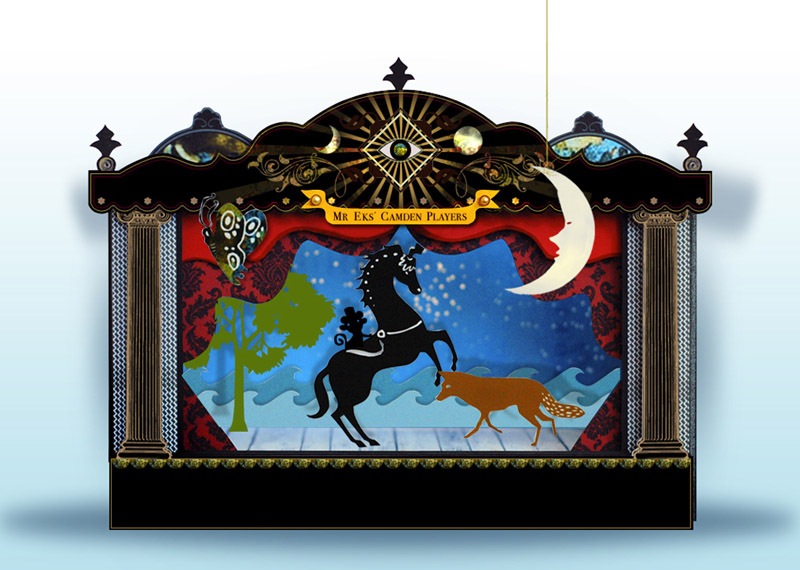 In the summer of 2011 Coney created an online digital fortune teller, in a unique way for visitors to connect to the cultural secrets of Camden. Camden is somewhere special; serendipitous, rebellious, adventurous, felicitous and always going against the grain. It is full of secret venues, unexpected gatherings, small gigs, lost rivers, hidden catacombs, under-the-radar artists and subterranean stories. Operated by the master of covert culture, Mr Eks, our ‘Cultural Serendipity Machine’ magically divined which Camden explorer you were: the visionary, the adventurer, the poet, the jester, the dandy or the bohemian, and then sent you on to a suitable adventure. With more than 101 secret events, interventions and happenings Mr Eks shed a light on the exciting, undiscovered side of Camden. Coney worked together with Camden Council to put Londoners and visitors in touch with Camden’s cultural offerings. For July 2011, Mr Eks brought people together in a celebration of the core of Camden – the underground, the joyful and the down-right odd. The events were selected to explore the multifaceted cultural communities and subcultures that populate the area, as well as revealing hidden places, enlivening stunning spaces and celebrating the ethos of Camden and all it encompasses. The program integrated museums and galleries of the borough as well as new events initiated by Coney, like Tom Bolton’s Lost River Walks and a barge with one-on-one performances. Other events included Francesca Gavin, Dazed & Confused’s visual arts editor, chairing a series of talks on counterculture with contemporary artists, Strange Attractor playing with live electricity and Theremins in the darkness, alternative market tours, a folk music all-dayer and a Black Dogs curated evening of DIY, punk, performance and art. Mr Eks’ website won Gold at Visuelt in Norway. Becky Hogge, Black Dogs, Chilli Hawes, Collectif and then, Frogs and Jays, James Ball, James Milligan, Mark Simpkins, Musicity, Natalie Mady, Netaudio, Thomas Bolton, Sarah Morrison, Strange Attractor, The Amazing Scottie Brothers and Yasmeen Khan. Ali Boyraz, Amos Levin, Elly Condron, Joey Ryken, Tom Bowtell, St Pancras Church Crypt. AV2Hire, Bugbear Bookings, Camden Council, Camden Lock Market, Camden Railway, Camden Town Unlimited, Canal and River Cruises, Dingwalls, Heritage Trust, Kopy Kat, The Constitution, The Flying Chef and The Pirate Castle.